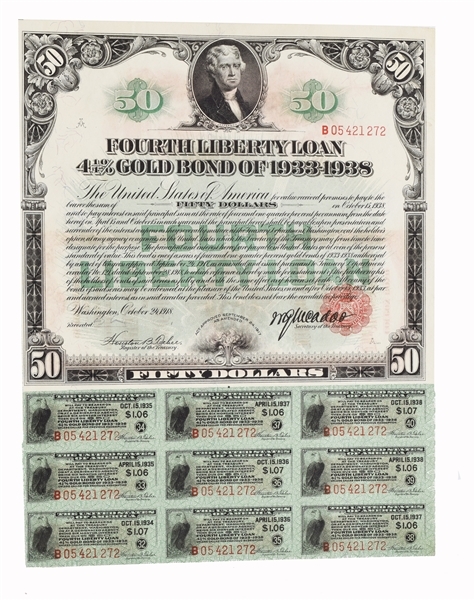 Lot Detail - Fourth Liberty Loan 4 1/4% $50 Bond Oct. 24, 1918. 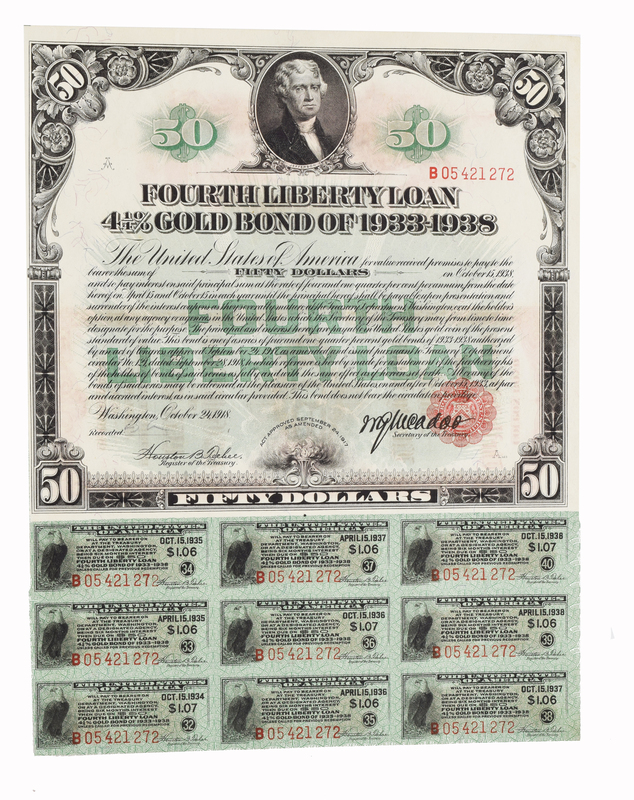 Fourth Liberty Loan 4 1/4% $50 Bond Oct. 24, 1918. This attractive Liberty Loan Bond has nine coupons attached. in fine condition the back and there are also three folds on this multicolored financial instrument. Extremely Fine.